Extremely small inner rim diameter and shallow "B" cup. This mouthpiece, with its wide-rounded rim, works well for the trumpet player who doubles on trombone. Contour profile - this mouthpiece is well suited for the small tenor trombone and lead/commercial playing. Slightly larger diameter and deeper than the 42B, the 42 features a standard "C" cup. Contour profile - this mouthpiece was designed for the lead trombone player desiring an easy high register. 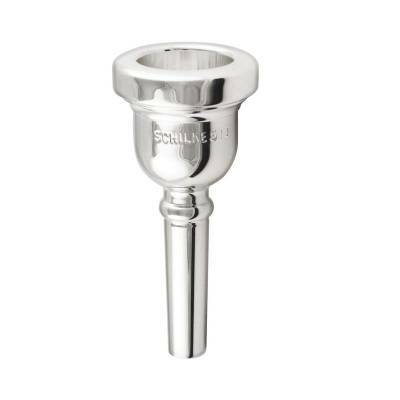 Though a small cup diameter, this mouthpiece offers a very deep "E" cup and semi-flat #4 rim. Contour profile - designed for the lead trombone player with a larger cup volume than the 43A. Contour profile - This mouthpiece is a good all-around mouthpiece for the jazz player that is requiring quick response and a resonant high register. For both professionals and students alike, this outstanding mouthpiece combines good response with superior tone quality and intonation. Particularly adapted to the medium and large-bore tenor trombones. The Schilke standard options make this a fine all- around mouthpiece. A large bowl shaped cup producing a rich tone quality. Ideally suited for large bore tenor and orchestral performers. Similar to the #51 with a slightly shallower cup and semi-flat #4 rim. One of our most popular, this mouthpiece offers a very large "D" cup and is excellent for the strong player. It is particularly suited for the Euphonium, producing a full dark tone. Slightly larger diameter than the 51, this mouthpiece produces a slightly broader sound. This combination of large cup diameter and bowl shape is widely favored by those who desire a rich full sound. This model is an excellent choice For those who play tenor and bass trombone. 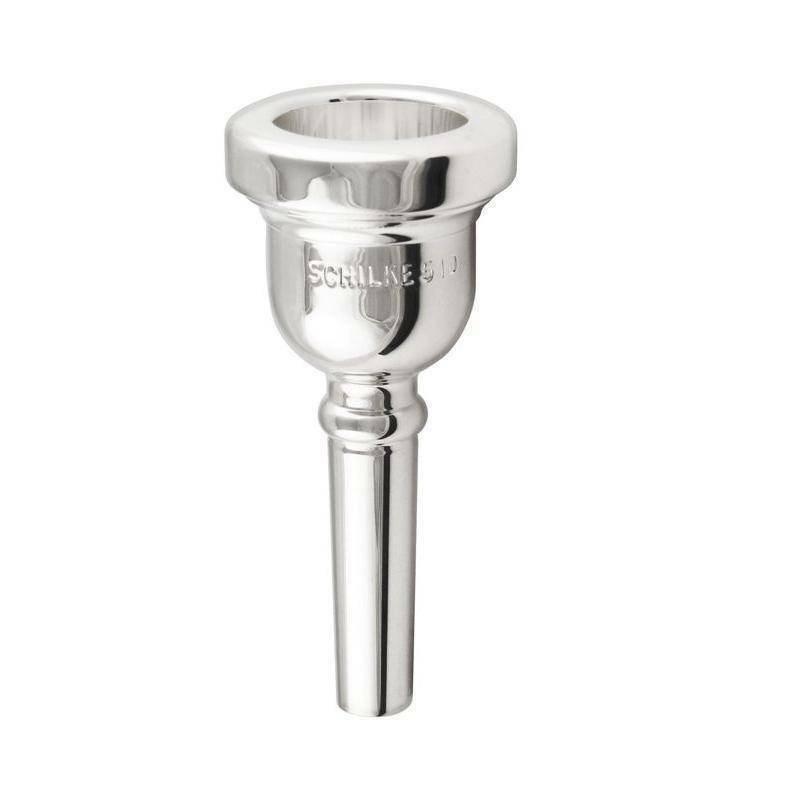 An outstanding mouthpiece for the full-time bass trombonist, combining great intonation with excellent lower and upper registers. Our largest bass mouthpiece offering a full body of sound for the experienced player.